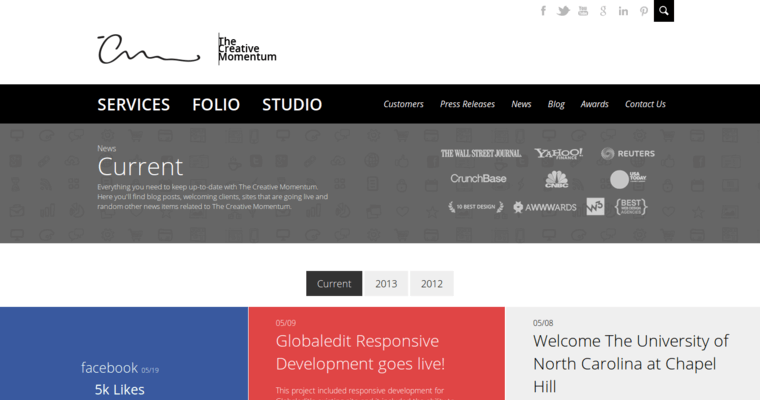 The Creative Momentum is a web design agency based in Roswell, Georgia. It specializes in providing custom websites for clients who want to increase and solidify their online presence, thus attracting more web traffic and potentially increased profitability. 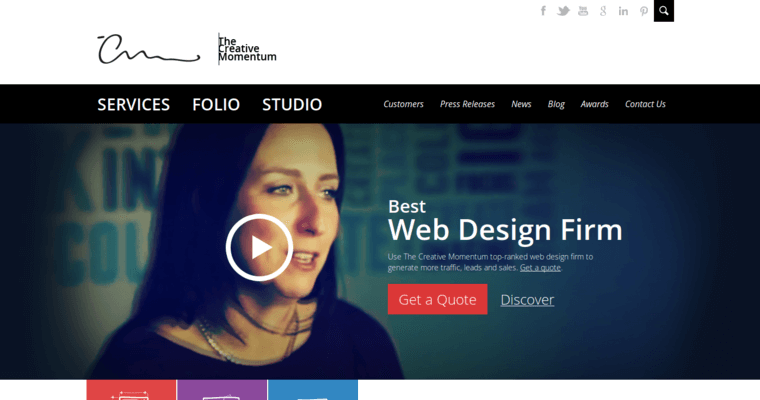 Supporting services that The Creative Momentum provides include brand or corporate identity, search engine optimization (SEO), and inbound marketing. The agency has worked with clients that include Globaledit, the University of North Carolina at Chapel Hill, and Sticker Shark. 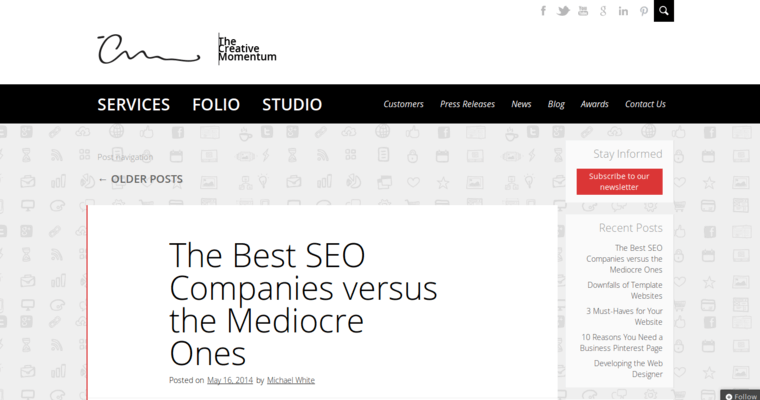 For its work, The Creative Momentum has been profiled by media companies such as Yahoo! Finance, The Wall Street Journal, CNBC, Reuters, and USA Today.